Given lusty poached plums and a hint of orange, this cake would be stunning on the Christmas table. 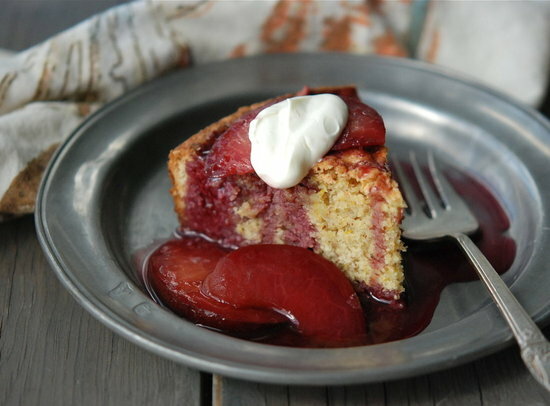 Recipe for Almond & Orange Cake with Poached Plum Compote at Food & Wine Magazine/Andrew Zimmern’s Kitchen Adventures. Thank you vap! I confess I couldn't try it myself, but tasters LOVED it. Beautiful with the plums sauce.